Albert was very understanding of our situation and was more than willing to allow us to be there every step of the way. From taking the diamond out to putting the diamond in. He customized my fiancées ring to exactly what we imagined and it came out beautifully. He also appraised the ring with the diamond in the new setting and normally this is something that has to get sent off to a lab. But he was able to do for us. So if your looking for someone who is nice, helpful, patient, trustworthy and does amazing work then go with Albert Kaz. He's truly the best thing that happened to us in my search for the perfect compliment to my fiancées diamond heirloom. Her ring is one of a kind because it was made by Albert and not a designer. 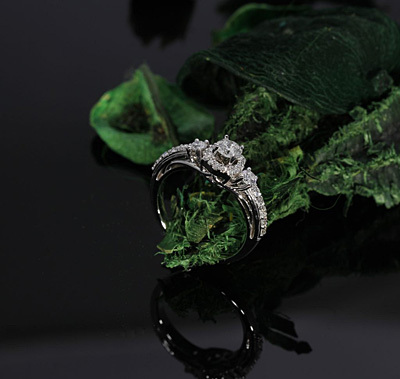 Not only does Albert Kaz have a fabulous selection of fine jewelry. 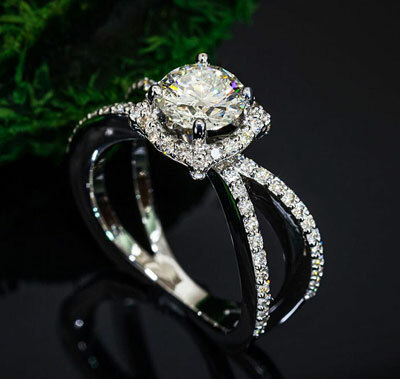 He is truly interested in helping you solve any issues with your own jewelry. 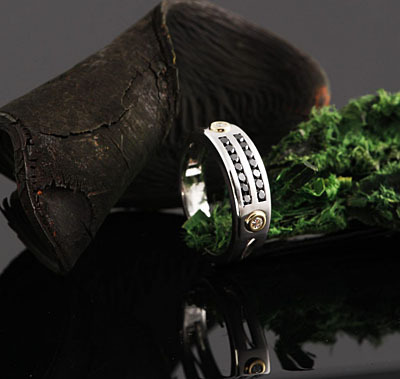 Arthritis has affected my joints so that I could no longer wear my wedding ring and my mother's ring, which I cherish. Albert re-sized both rings, but my wedding ring was too loose after enlarging it to fit over the knuckle. This was a challenge Albert took personally. He came up with a unique solution, making a ring that opens slightly in front around the large diamond to slide over the finger, then closing in a good fit around my finger. I am so happy with my new ring; it retained the original design with some added stones, and after 60 years of marriage, it should last the rest of my journey. Albert, his wife, and staff are so friendly and accommodating, I would not think of going anywhere else. It was no coincidence that my Fiancé and I stumbled into Albert's one day. 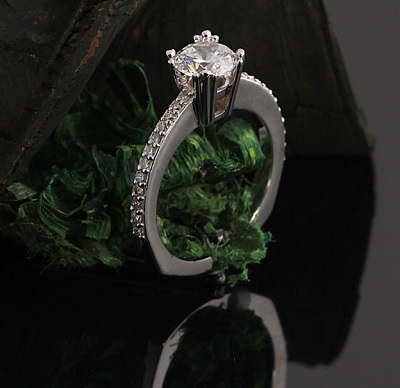 We were out looking at Engagement rings at all the typical jewelry stores. My fiancé was very adamant that he wanted me to have the ring of my dreams and not just another ring that looked like everyone else's. He looked up jewelers on Yelp and Albert's was the first to come up. He had amazing ratings and was right around the corner. So we both said why not! Giving Albert and Victoria only 5 stars is not enough! Their welcoming personalities, their knowledge, the excellent and constant form of communication, and welcoming atmosphere instantly drew us both in. Albert asked all the right questions, he reassured me I'd be able to make a custom ring to my own style and specifications and that I'd be going along with him during the entire designing process. He did not let me down! Albert does some beautiful work and I constantly felt like I was truly being listened too and was constantly being reassured by him that its not about the cost of the ring to him, it's about him creating a work of art that I'll be wearing on my finger for the rest of my life. He did not disappoint! Even through my many times of indecisiveness, Albert worked very hard to make sure I was 100% satisfied. He stayed within my Fiance's budget and created the most beautiful ring I've ever seen! So thankful to have stumbled into his store, I can't imagine going anywhere else! You will not be disappointed and you can be at ease knowing your custom work is in some very talented hands! Albert did a wonderful job building a custom ring with me. I felt like I was there every step of the way and made it exactly what I dreamed of. It came out so beautiful it just blows my mind and I feel like I've made a great friend. Well, it just might cost me a little money hanging out in a jewelry shop so he and his family are always welcome with my family on the ranch. You will love this hidden jewel in Fresno.